Brazil is the largest tropical country in the world and offers visitors an amazing range of attractions. Occupying an area over 8 500 000km2, it is larger than Australia, 15 times bigger than France, 16 times larger than Spain and a whopping 34 times the size of the United Kingdom. Despite the huge size, Brazil enjoys a complete absence of natural disasters such as hurricanes, earthquakes and tsunamis. Each part of the country is unique with its own traditions, music, culture, gastronomy and natural beauty. With such a vast diversity, there is virtually a world to be discovered here! 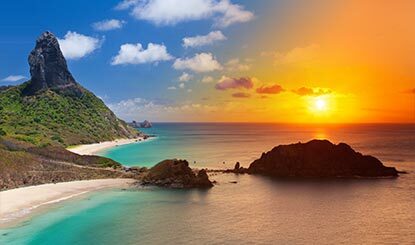 With an absolutely stunning coastline of no less than 7491 km, Brazil is a true tropical paradise and has without a doubt some of the best beaches in the world. The beaches in Brazil come in all sizes and shapes and whether you prefer to chill-out, do sports or socialize on the beach, you can be sure to find your perfect match here. Studies by the Ministry of Tourism show that the vast majority of tourists who visit Brazil, definitely intend to visit the country again with the two main reasons being the extremely friendly people and the stunning nature. The incredible range of natural attractions combined with the friendly and very joyful population ensures you'll remember your vacations in Brazil for a long time. Everyone should at least once in his or her lifetime take part in the Carnival in Brazil. While Carnivals are also held in other countries, nowhere else is it celebrated with the same joy and energy. The whole country takes part and the Brazilian Carnival is without a doubt the biggest and most amazing celebration in the world. In addition to the Carnival in Rio de Janeiro there are also many other similar celebrations throughout the country such as the famous street Carnivals of Salvador and Recife. Brazil is a true ethnical and cultural melting pot with one of the most mixed populations in the world living in perfect harmony free of racism. Any person regardless of race and color will feel at home and almost anyone can pass for being Brazilian if you dominate the language well enough. Visitors enjoy from complete freedom during their holidays in Brazil and it is easy and fun to mingle with the locals and have a great time. 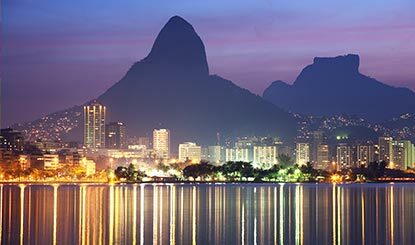 Whatever your travel preferences may be, Brazil is a true year round destination. If you main interest is to enjoy from a beach holiday, many parts of the country enjoy a year round tropical climate offering the perfect setting for beach lovers. The world famous attractions such as the Amazon, Pantanal, Foz de Iguaçu and the various historical towns are all impressive any time of the year. If you are looking for joyful events, there are plenty of festivals and off-season Carnivals scattered throughout the year. 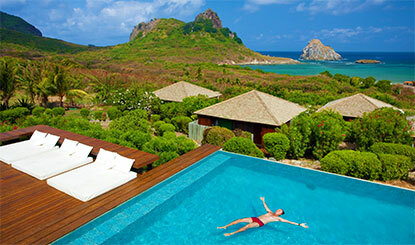 The country enjoys continental proportions and offers tourism attractions that few other destinations can match. Whether you want to explore rain forests, visit fascinating historical sites, see wildlife, experience incredible music, sunbath on incredible beaches, enjoy from sport activities or take part in the most incredible festivals on the planet, Brazil offers an impressive range of destinations with varying landscapes and attractions making sure that any visitor will be impressed by the enormous variety on offer. 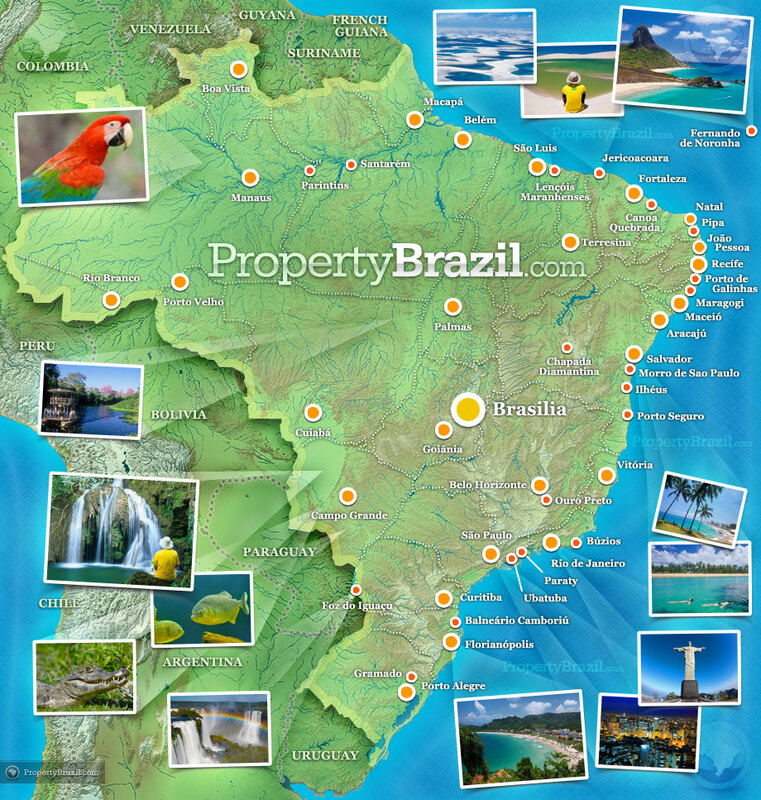 PropertyBrazil.com invites you to explore this amazingly beautiful and fun loving country. We have created beautiful and informative destination guides highlighting popular places around Brazil. Go to the top of this page to find our destination guides. We also encourage you to visit our community forum where you can read questions and answers, ask your own questions, and participate in the discussions.